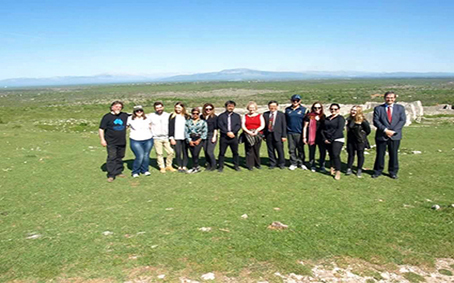 he project’s team comprises every year between 12 and 15 undergraduate, graduate or postgraduate students, recruited from Macquarie University, the Norwegian School of Theology and the University of Zagreb. The Bribir excavation functions as a field school, with students being trained by the senior members of the team in excavation methods and techniques, archaeological drawing, topography, geophysical surveying techniques, cataloguing, basic conservation methods, photogrammetry, architectural reconstruction, sampling techniques, use of specific software, etc. 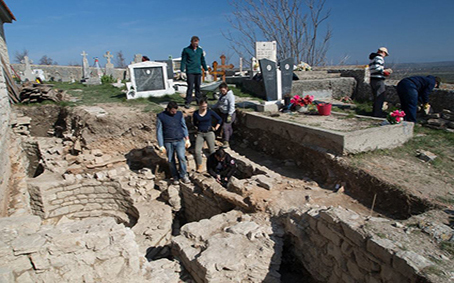 Between 2014 and 2018, the dig focused on the late antique rotunda church located below the present graveyard church of Sts Joachim and Ann. 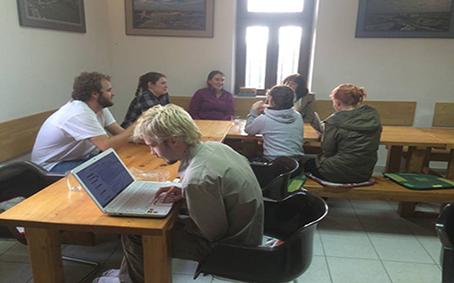 Cost: 150 HRK/day, which cover the expenses for food, accommodation and transportation to the site. Additionally, volunteers will need to cover the cost of their airfare to Split (we arrange the pick up from the airport). For example, the price of a flight ticket from Sydney to Split is roughly 2000 AUD. Minimum qualifications: 18+ age and currently studying or having studied in Ancient History or Archaeology. 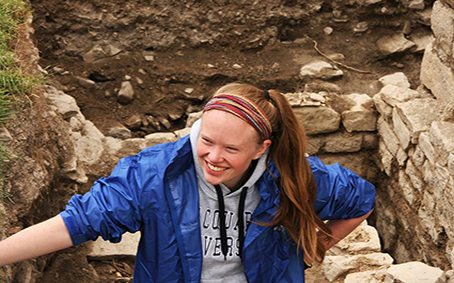 No previous dig experience is required, but volunteers should be in good physical condition. 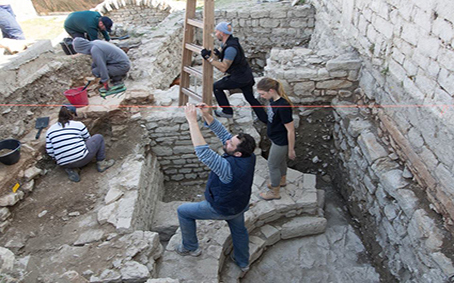 Accommodation: The whole crew stays in the two excavation houses built on the site, which have all the facilities. 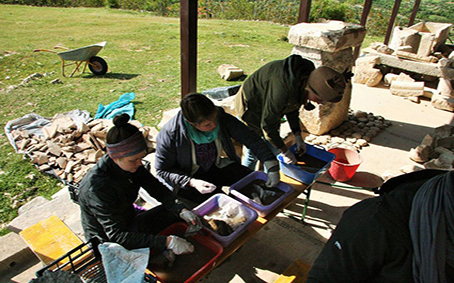 Work: Students and volunteers work alongside professionals performing tasks relating to excavation, conservation, cataloguing, cartography, surveying, archaeobotany, ceramology, etc. Languages: English and Croatian are the main languages spoken on the site, but you will also often hear French, Italian and Swedish. Application deadline: 15th of February 2019. Please email Prof. Victor Ghica and Dr Danijel Dzino for further information. 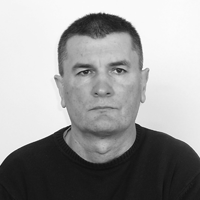 Ante Milošević is director of the Museum of Croatian Archaeological Monuments. He graduated in archeology and history of art from the Faculty of Philosophy at Zadar (1976) and received his PhD from the same university in 2005. 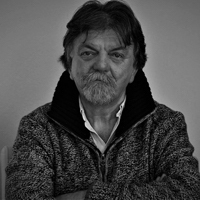 Milošević has published several books and more than a hundred articles in Croatian and international scholarly journals, especially in the disciplines of mediaeval archaeology and history of art. He has also been the editor-in-chief of two journals, Zbornik Cetinske krajine (1979-1989) and Starohrvatska prosvjeta (current). He has presented papers at around forty Croatian and international conferences and professional institutions, and given a number of public talks. He is a corresponding member of the Deutsches Archäologisches Institut (since 1996) and a member of the Centre for Balkan Studies of the Academy of Sciences and Arts of Bosnia and Herzegovina in Sarajevo (since 2009). Milošević has curated around ten permanent museum displays and several dozen exhibitions, among which the large exhibition “Croats and Carolingians” (2000), which was part of the international project “Charlemagne – the Making of Europe”. Prior to his appointment on the chair of Antiquity and Early Christian Studies at the Norwegian School of Theology, Victor Ghica held a tenured lectureship at the Department of Ancient History of Macquarie University, in Sydney (2009-2014). Early career research and teaching appointments included positions at the French Institute of Oriental Archaeology (IFAO), in Cairo (2000-2003, 2005-2009), and Laval University, in Quebec City (2003-2005). Ghica’s academic interests span several ancillary fields relating to Early Christianity and Late Antiquity. Over the last fifteen years, he has carried out a large-scale archaeological study on the development of Christianity in the Western and Eastern Deserts of Egypt, which translated into three multi-annual research projects that he has been leading on behalf of IFAO. At Bribir, Ghica is directing the excavation and post-excavation operations. 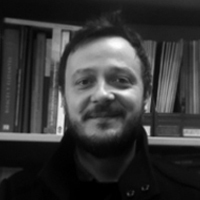 Danijel Dzino is a lecturer in the Departments of Ancient History and International Studies (Croatian Studies) and a member of the Ancient Cultures Research Centre at Macquarie University. After completing his BA (Hons) (1997-2000), MA (2001) and PhD (2002-2005) in Classics at the University of Adelaide, he moved to Macquarie University, in Sydney, to start working on a Discovery Project grant of the Australian Research Council (2010-2014) in the Department of Ancient History. His research interests are focused on ancient and early medieval Illyricum, which roughly corresponds with the western and central regions of the Balkan peninsula, the modern countries of Croatia, Bosnia and Herzegovina, Montenegro, Albania, Serbia and Slovenia, and the surrounding regions. 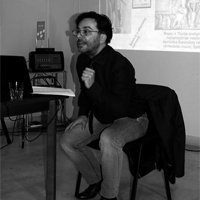 In particular, he works on issues related to the identity of the pre-Roman indigenous population and their identity-transformations in the Roman and post-Roman periods, but also on the modern perceptions of ancient and mediaeval past in this region. Nikolina Uroda graduated in archaeology and history of arts from the University of Zagreb, where she also obtained her MSc. 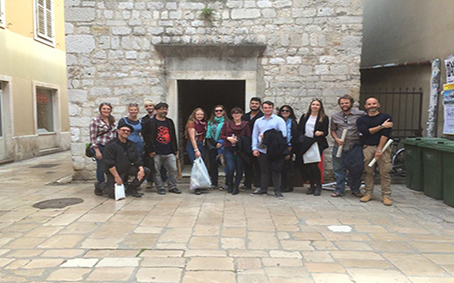 Since 2006, she has been working as a senior curator of the ancient and prehistoric collection of the Museum of Croatian Archaeological Monuments in Split. Since 2016, she is also the curator of the collection of artefacts from the archaeological site of Bribirska glavica. 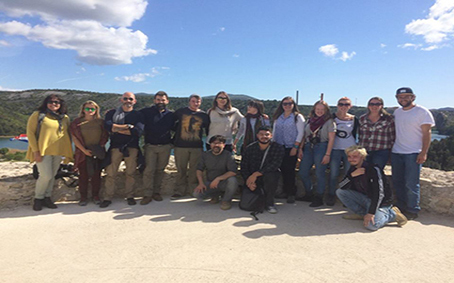 Uroda is also member of the research project of ecclesiastic and monastic complexes on the coast and the islands of the Eastern Adriatic (Croatia) – MONACORALE. Her research interests lie in late antique and early mediaeval monastic architecture. 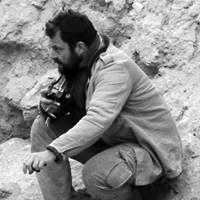 Tommaso Mattioli has been a Marie Skłodowska-Curie Post-Doc Fellow at the Facultat de Geografia i Història at the University of Barcelona (www.archeoacustica.net). Prior to that, he spent most of his career studying and/or researching at the University of Perugia and the University of Rome “La Sapienza”. Graduated in 2005 at the University of Perugia, for the following five years he was attached to the Chair of European Protohistory. From 2007 to 2010, the University of Perugia funded his PhD project at the University of Rome “La Sapienza” through two prestigious research fellowships, which led him to undertake a systematic study of paintings of the Italian peninsula. 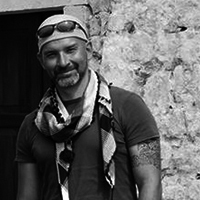 In 2010, Mattioli completed his PhD with a dissertation about the rock art of the Apennines. He is still linked to the University of Perugia as a commercial archaeologist in geophysical prospections (georadar, magnetometry, ERT and resistance meter) at the S.M.A.Art Center (Center for Scientific Methodologies Applied to Archaeology and History of Art). 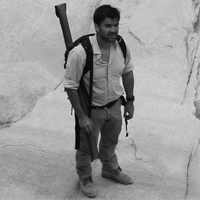 Since 2006, he works as a commercial archaeologist in geophysical research (www.archeores.com). From 2011 to 2013, he was periodically hired to develop the geodatabase “Archaeological Map of Umbria” by the Regione Umbria and the Archaeological Superintendency, the two authorities responsible for managing all archaeological heritage of the Umbria region. 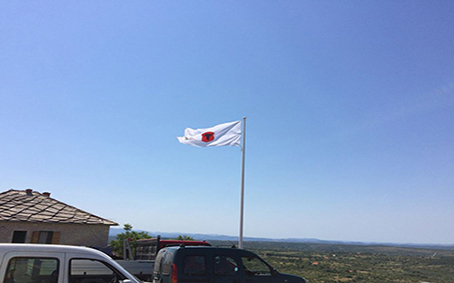 As an independent archaeologist, he organised numerous outreach activities in museums and schools in Italy. 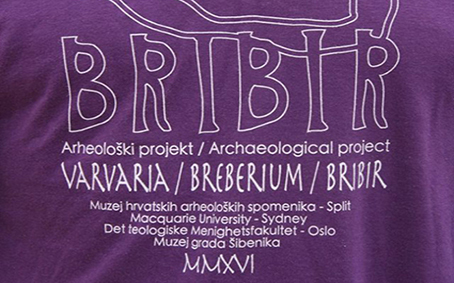 Branka Milošević graduated in archaeology and history of arts from the University of Zadar. Between 2009 and 2016, she served as a curator at the City Museum of Umag for. During this period, she authored six exhibitions about everyday life in the Roman and late antique periods in the north-western part of Istria and directed numerous archaeological excavations, both systematic and rescue. In particular, she has been directing since 2013 the archaeological excavations at the late antique and early mediaeval settlement of Sipar. She is currently preparing a PhD thesis at the University of Zagreb. Her research interests lie in the transformation of settlements from Late Antiquity to early Middle Ages. 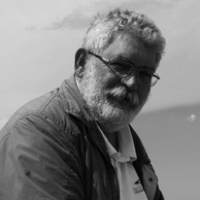 Željko Krnčević completed his BA in archaeology in 1987 and a MA in the same field in 1998, at the University of Zagreb, with the dissertation “The mediaeval archaeological topography of the Šibenik county”. He is currently finishing a PhD thesis at the University of Zadar. 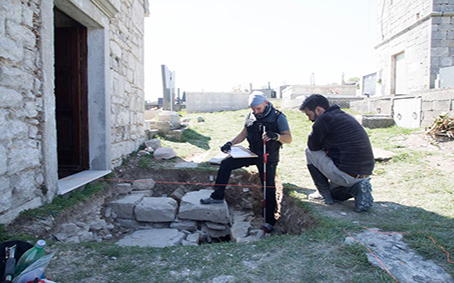 Since 1992, Krnčević has been working as an archaeologist for the Šibenik City Museum, of which he has recently taken over the directorship.During the war in Croatia, Krnčević was actively involved as an expert in the preservation of the local cultural heritage. 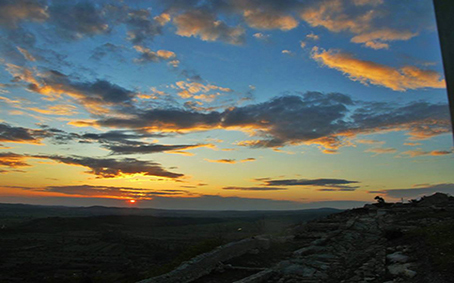 He published numerous studies on the archaeology of the Šibenik region, where he led several excavations. Yann Béliez graduated from the Institute of History of Art and Archaeology (Université Paris-Sorbonne) and the École des Hautes Études en Sciences Sociales (Toulouse) in recent Prehistory. He is currently preparing a PhD thesis at Charles University, in Prague, addressing water economics in Eastern Europe in the 5th millennium BCE. 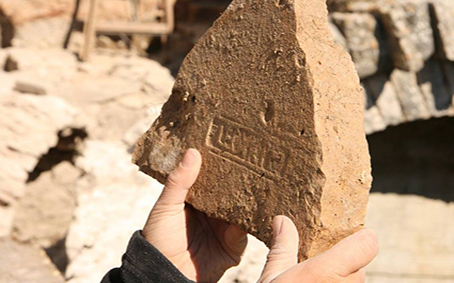 Over the last fifteen years, Béliez has been part of several international excavation projects, both in France and the Near East, mainly in Cyprus and Egypt. Although specialised in recent Prehistory, he also participated as archaeologist in a number of excavations on sites of more recent periods, including Late Antiquity and the Middle Ages, particularly for the study of funerary contexts. In several occasions, he has been in charge of training students in field practice. 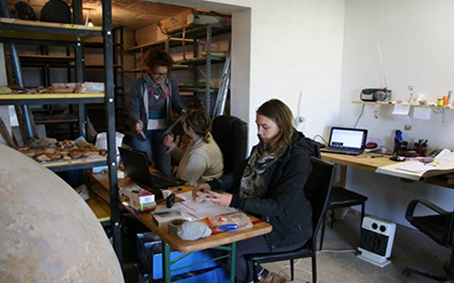 Béliez is presently working as field archaeologist in an excavation company specialising in preventive archaeology in Czech Republic. His interests spread from prehistoric water systems and management, prehistoric lithic technology, taphonomy and archaeothanatology to archaeological photography. Ivana Ožanić Roguljić graduated from the Department of Archaeology at the Faculty of Humanities and Social Sciences, University of Zagreb (1998), where she also completed her Master’s (2004) and PhD (2012) degrees. Before joining the Institute of Archaeology in 2007, where she works now, she was employed as a curator at the Archaeological Museum in Zagreb (2000-2003) and then at the Municipal Museum in Vinkovci (2003-2004). Between 2004 and 2006, she was a junior researcher at the Department of Archaeology, at the University of Zagreb. She was an associate member of three research projects: “Roman necropolises and roads in northern Croatia”, “Roman military camps in Croatia – Tilurium”, “Northern Croatian coastland within the context of the Classical Antiquity defense system”. She is currently associated to the project “Roman economy in Dalmatia: production, distribution and demand in the light of pottery workshops”, supported by the Croatian Science Foundation, and she manages the project of popularisation of science “Archaeology for children”. In the course of her career, she has participated as manager, deputy manager or associate in a number of archaeological systematic and rescue excavations of the prehistoric, Roman and mediaeval periods, most notably at the Ščitarjevo Baths (Andautonia), Varaždinske Toplice (Aquae Iassae), the Roman military camp of Tilurium, at the Crikvenica–Igralište site, as well as many rescue excavations in Vinkovci (Cibalae). She organised or was part of the organising committees of several international conferences, round tables and seminars and she edited several proceedings. Her research interests cover a wide spectrum, from Roman archaeology, especially economy, to pottery and pottery workshops, instrumenta domestica, the history of food, travel stations and communications, experimental archaeology or the popularisation of science. Kristina Jelinčić Vučković completed in 2005 a MA on The Topography of Roman villas on the island of Brač and in 2009 a PhD on The Roman pottery produced locally in the Croatian part of the Roman province Upper Pannonia. Jelinčić joined the Institute of Archaeology in Zagreb in 2004 as a senior documentalist. She participated in or directed numerous archaeological excavations, authored two books and several dozens of articles and co-organised three exhibitions. Her research interests lie in Roman pottery, villae rusticae, rural settlements, economy, trade, Roman glass bracelets, as well as generally Dalmatia and Pannonia. 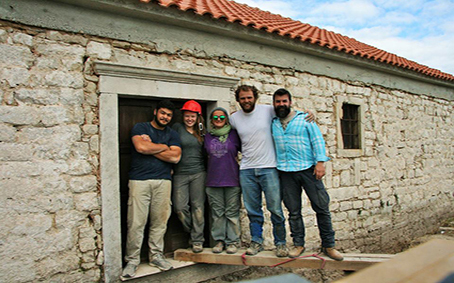 In cooperation with Centre Camille Jullian (CNRS, Aix-en-Provence), École française de Rome and Université Paris-Est Marne-la-Vallée (Paris), Jelinčić has been directing since 2015 the archaeological excavation of a Roman villa on the island of Brač (Novo Selo Bunje site). Bartul Šiljeg graduated in archaeology from the Faculty of Humanities and Social Sciences, University of Zagreb, in 1997. He received his MA in 2001 (“Military architecture of Justinian’s age in the northern Croatian coastal region”) and his PhD in 2006 (“Late Antiquity settlement research in the Croatian Littoral with the application of the remote sensing method”), both from the Department of Archaeology, Faculty of Humanities and Social Sciences at the University of Zagreb. Šiljeg has been working at the Institute of Archaeology in Zagreb since 1997, where he serves now as research associate. Over the last twenty years, he has been continuously participating in large-scale research projects dealing with Croatia’s mediaeval archaeological heritage: “Mediaeval archaeological heritage of continental Croatia”, “Mediaeval archaeological heritage of Croatia (5th-16th century)”, “The northern Croatian coastland within the context of the Classical Antiquity defence system”, “Roman economy in Dalmatia: production, distribution and demand in the light of pottery workshops”. Between 2008 and 2017, he has been involved in the organisation of scientific colloquia in Crikvenica and co-edited their proceedings. He is deputy editor-in-chief and graphics editor of the “Newsletter of the Scientific Council for Remote Sensing” and a member of the editorial board of the journal “Prilozi instituta za arheologiju u Zagrebu”. He is a member of the executive committee and head of the Section for Archaeology and Historical Heritage of the Scientific Council for Remote Sensing at the Croatian Academy of Sciences and Arts. His research interests are related to Late Antiquity, Middle Ages, fortifications, remote sensing and glass. 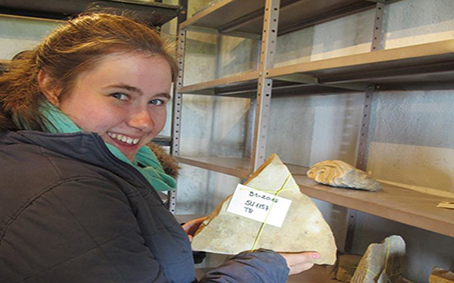 Kelly Reed has been working as an archaeologist, specialising in archaeobotany, for over 15 years, starting as an undergraduate at Bournemouth University, UK, working on various sites across the United Kingdom. 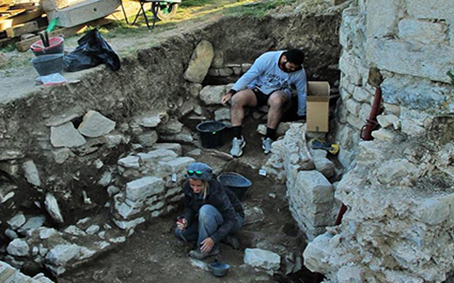 While undertaking her MSc at the University College London, she worked on “The Early Farming in Dalmatia” project, directed by Professor Andrew Moore (Rochester Institute of Technology, NY) during 2005 and 2006, which introduced her to the archaeology of Neolithic Croatia. She soon developed a passion for prehistory in Croatia and undertook an AHRC funded PhD, which she completed in 2012 at the University of Leicester, UK, studying the development of farming from the late Neolithic to the late Bronze Age in the Carpathian Basin. 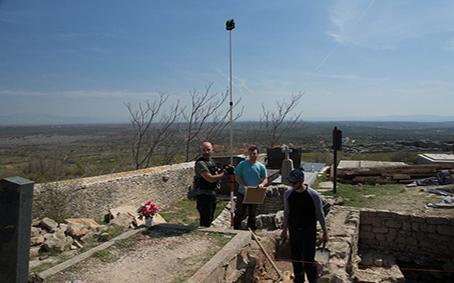 Since then, she has worked with archaeologists in Croatia to sample, recover, analyse and interpret plant remains from a range of archaeological sites ranging from the Neolithic (6000 BC) to the late Middle Ages (16th Century AD). She is particularly interested in diet and food procurement, whether through gathering, cultivation or trade, and the reconstruction of past farming systems and their link to the socio-economic and environmental landscape. 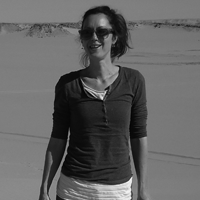 Reed is currently a teaching fellow at the University of Warwick, UK, and the Education Coordinator for the cross-university programme “Innovative Food Systems Teaching and Learning”, training post-graduates in skills to apply critical interdisciplinary systems thinking to issues of long-term food security. 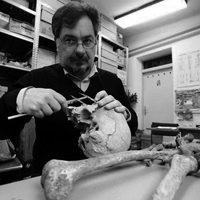 Mario Šlaus is currently professor of bioarchaeology, anthropology and archaeology at the University of Zadar as well as senior research scientist at the University of Zagreb and the Department of Archaeology of the Croatian Academy of Sciences and Art. 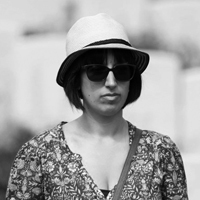 Željka Bedić graduated in 2006 with a dissertation on The anthropology of the late Antique cemeteries of the north-eastern Croatia. In 2014, she defended her PhD at the University of Zadar with a thesis entitled Anthropological analysis of the osteological material of Bijelobrdo populations in the area between the rivers Sava, Danube and Drava. Since 2009, she is a research assistant fellow at the Anthropological Centre of the Croatian Academy of Sciences and Arts. She is part of the scientific project “The effects of endemic warfare on the health of historic period populations from Croatia” funded by the Croatian Science Foundation and, since 2005, she has been contributing to the preliminary analyses for the identification of the victims of the 1991-1995 war in Croatia, investigations run by the Department of Forensic Medicine and Criminalistics of the School of Medicine, at the University of Zagreb. 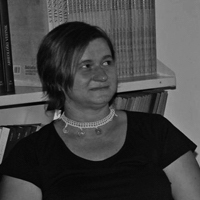 Bedić participated in several archaeological excavations in Croatia and, from 2009 to 2013, she lectured in the graduate study programme “Forensic Anthropology” at the University Centre for Forensic Sciences, University of Split.Her main areas of research cover bioarchaeology, paleopathology, trauma analysis, paleodontology and contagious diseases in archaeological populations and she is a member of several scientific organisations relating to these fields. Her research output includes, among others, scientific papers, book chapters and a school textbook. 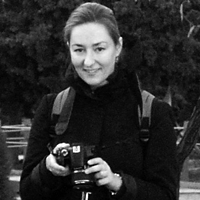 Vlasta Vyroubal graduated in 2007 from the University of Zagreb with a dissertation on the Anthropological forensic analysis of perimortem trauma at the late mediaeval site Udbina – Sv. Jakov. She obtained her PhD in Mediaeval archaeology at the same university in 2014 with a thesis entitled Anthropological analysis of the correlation between health and social status among early mediaeval Croats. 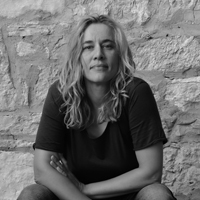 Her research positions included two graduate research posts at the Department of Archaeology of the Croatian Academy of Sciences and Arts (2007-2012) and the Anthropological Centre of the Croatian Academy of Sciences and Arts, where she works since 2014 as a postdoctoral researcher. Since 2005, she has participated in numerous preliminary analyses related to the identification of the victims of the 1991-1995 war in Croatia at the Department of Forensic Medicine and Criminalistics of the School of Medicine, at the University of Zagreb. Between 2009 and 2012, she lectured in the graduate study programme “Forensic Anthropology” at the University Centre for Forensic Sciences, University of Split. 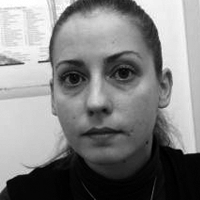 Vyroubal’s research interests fall in the following areas: bioarchaeology, paleodemography, paleopathology, trauma analysis, subadult stress, contagious diseases in archaeological populations, metabolic diseases, forensic anthropology and osteology. Per Rathsman graduated in 1982 from the Department of Architecture of the Chalmers University of Technology in Gothenburg. Prior to completing his studies, he served as a volunteer in the Maxaquene upgrading project in Mozambique, a scheme aiming to integrate the African suburbs into the municipal urban network. After finishing his studies, Per worked in Gothenburg for Defyra Arkitekter on the renovation of the 17th-century cathedral. In 1985, he left again for Africa with his wife an their three-year-old son and they started a new project in the Cape Verdean island São Vicente, similar to the Maxaquene. 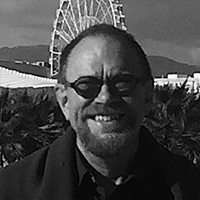 In 1988, the family settled in Karlstad, Sweden where Per had a new job at Sweco Architects, one of the largest Swedish companies in the field. He had some rewarding experience during the first years, when he found particular interest in post-modernist projects. But times were getting rough in Sweden in the early nineties and the Karlstad branch of Sweco was shut down in 1993. Per started then his own business (Rathsman Arkitektkontor AB) and was soon joined by other architects who had been made redundant by the Swedish financial crisis. Per embarked on archaeological fieldwork in 2012, when he joined Victor Ghica and the project “Christianity of the Deserts of Egypt” of the French Institute of Oriental Archaeology in Cairo. Since then, Per has been working on both architectural drawing and 3D reconstruction, with fieldwork seasons every year. 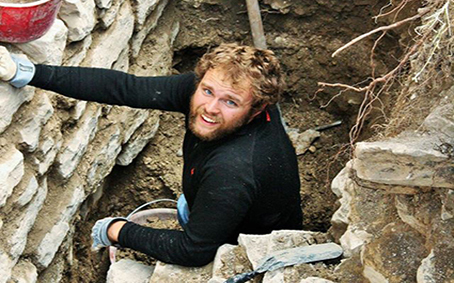 From 2014, he is in charge of the digital modelling and 3D reconstruction of the excavated areas of Bribir. Per is also a hobby musician with the salsa band Comboio. The band started in 1998 and plays regularly on Karlstad’s music scenes and occasionally in Cuba.